Make delicious applesauce in less than an hour! 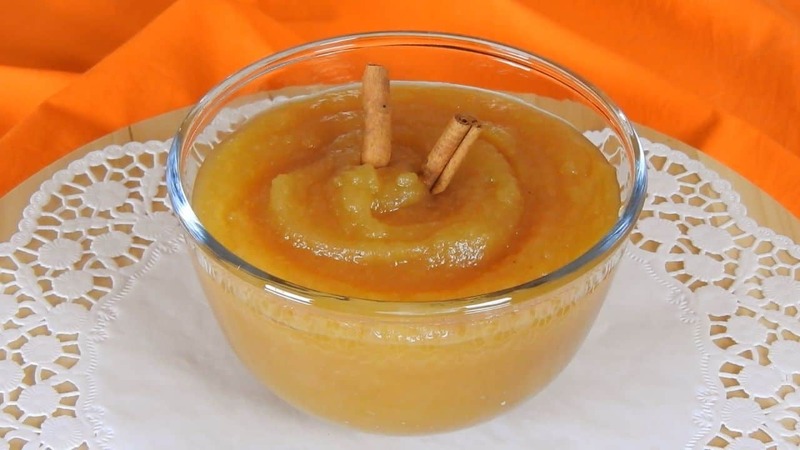 Its gentle cinnamon flavor and the brown sugar’s mild sweetness, makes it perfect for any use. You can eat it plain, mix it with yogurt for a cool, quick & healthy dessert, spread it on cookies or tsoureki / cake slices, mix it with yogurt & corn flakes or use it in recipes as a main or substitute ingredient. Keep it in a glass container in the fridge, up to a week. If you wish to preserve it for longer, transfer it in a sterilized jar while it’s still hot. Seal & turn the jar upside down and wait until it cools completely. Store it in the fridge for several months. Peel, core & cut each apple into 16 pieces. Put them in a bowl with water & lemon juice to prevent browning. Using a slotted spoon, transfer the pieces into a medium pot. Add the sugar, the water, the lemon juice & the cinnamon stick. Cover the pot and put it over medium heat. When boiling starts, cook with half opened lid for 20 to 25 minutes. Take the pot off the heat and remove the cinnamon stick. Blend the apples with a hand blender or run them through a food processor.